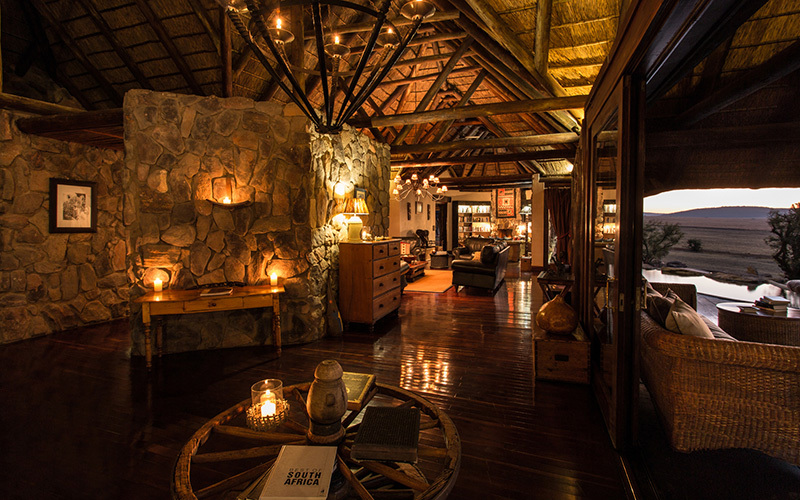 The main lodge, a rock-clad structure with thatched roofs, which was carefully designed to blend in with the natural surroundings, offering an expansively large wooden main deck area, an inside dining area, seated area with wooden fire places, a library, a boma and swimming pool area for the exclusive-use of our guests. The lighting up of the lodge in the evenings is always a special time and is a welcome sight when returning from the game drives. 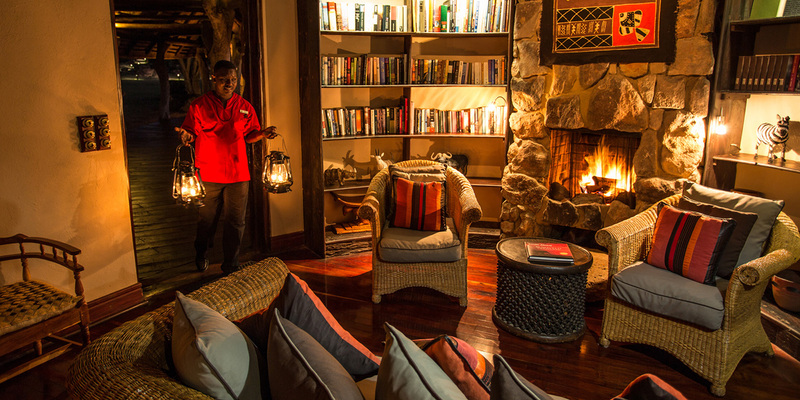 The lanterns, candles and fire places bathe the lodge is soft natural light as evening twilight makes way for night. 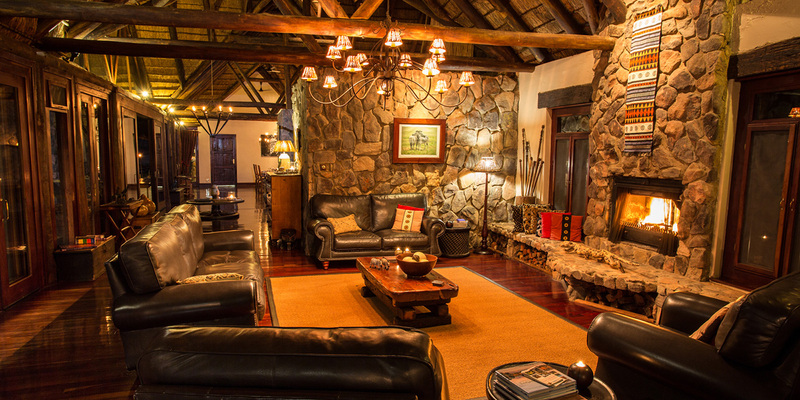 The lodge offers WiFi access in the main lodge area, which is complimentary during your stay. The WiFi feed is supplied via a satellite connection, due to the location of the lodge. The connection is therefore intermittent and slow at times. It can also be effected by changes in weather conditions. There is no cell phone coverage at the lodge. There is telephone in the office which can be utilised at an additional charge. The inside dining area is available for those cooler winter nights, where the large wooden fire roars while the chandelier above the yellow wooden dining table illuminates the area with the romantic glow of candles. 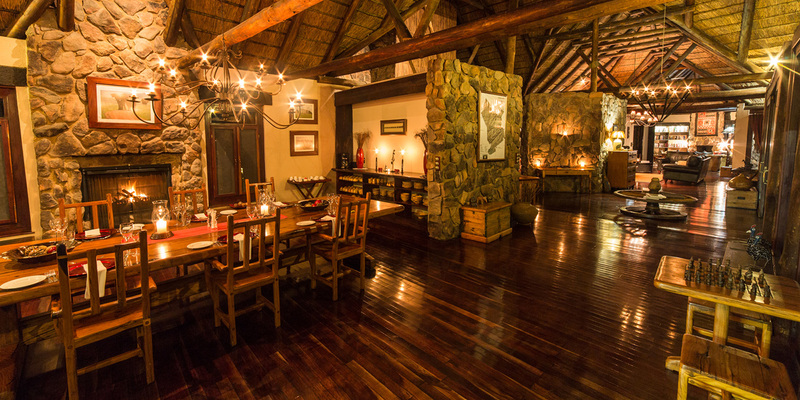 Our outside dining area is on the main deck and is by far one of the favourite dining areas in the lodge. 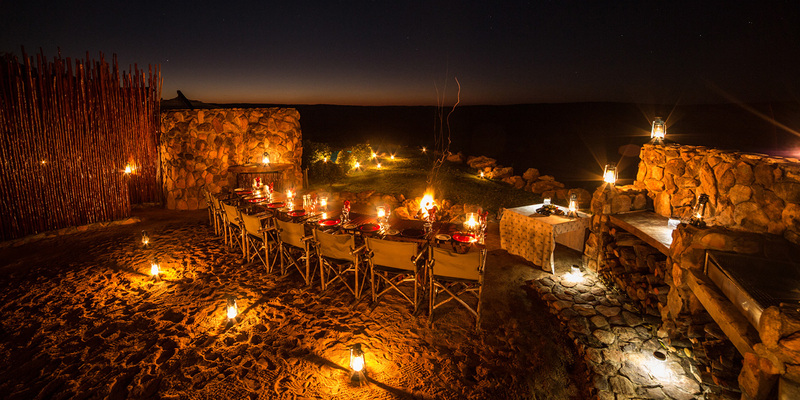 Meals on this deck can be enjoyed whilst observing the passing show provided by nature, with any number of animals being present on the plains or coming for a drink in one of the lodges’ water features. As night falls the darkness comes alive with the sounds of nature as the nocturnal animals, birds and frogs add their calls to the night. 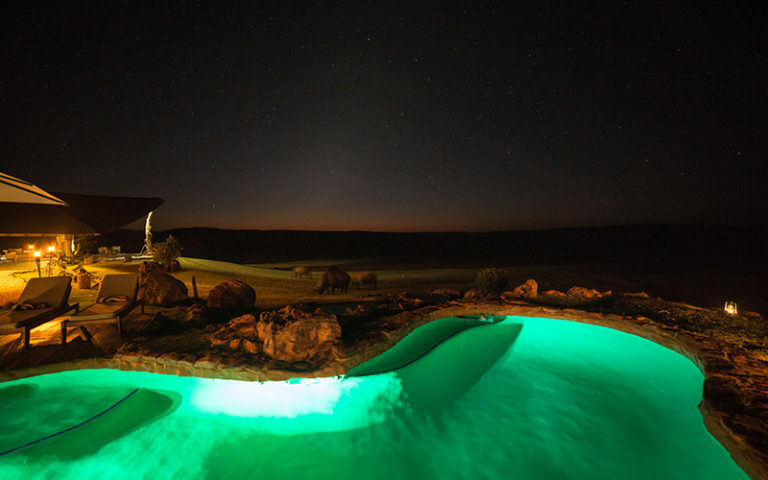 The lodge swimming pool is a focal point during the hot Summer days. 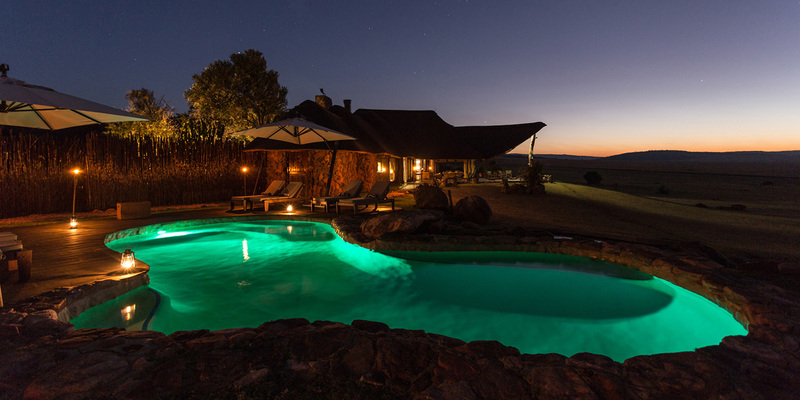 Conveniently close to the main lodge deck and slightly raised, it allows guests a beautiful view of the plains and the animals, whilst relaxing in the sparkling water. The pool is surrounded by a wooden deck, two large umbrellas and eight loungers, an ideal place to enjoy some relaxing hours before the next drive. The outdoor Boma area will always remain a highlight of your stay. This outdoor dining area is situated a few steps past the swimming pool, providing an evening dining experience under the stars in a traditional African setting. 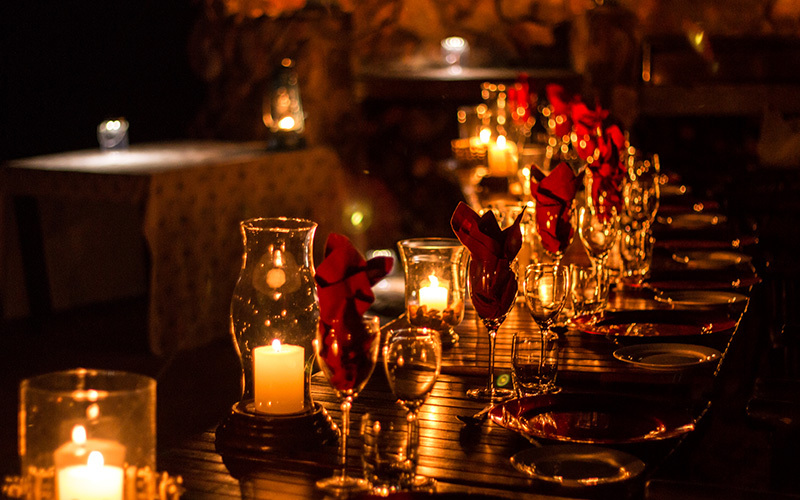 The sandy ground surface and the aromas of the feast being prepared on the open coals make the Boma evenings most memorable… and who knows what could be wondering past or coming by for a drink at the water feature? Malaria free and welcoming children of all ages, Pitse Lodge is the perfect exclusive-use destination for family and friends to enjoy. Our daily activities and meal times are flexible to best suit your family’s schedule, ensuring that you are relaxed and well rested in our luxury “home away from home”. Babysitting can be arranged at an additional fee, allowing parents to enjoy their dinner or drives, knowing that their little ones are being well looked after. With an electric fence, surrounding the rooms, children can walk freely between their rooms and the main lodge. The Family suite is ideally suited for families with children, this suite comprises two rooms connected with an internal walkway. Sterkfontein is the ideal place for the children to stretch their legs in a safe outdoor environment, be it on foot or on a bicycle.